The weather may have cooled off, but the island is heating up with the hustle and bustle of season again. Visitors and residents alike are flocking back to one of Southwest Florida’s most prized possessions. Restaurants and area shops are getting busier, and the roads will soon be packed. 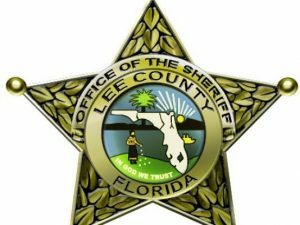 With that being said, your Lee County Sheriff’s Office team assigned to Boca Grande would like to extend a WARM welcome back! We are excited to see you and look forward to hearing all about your summer up north. With the roads and beaches getting busier with pedestrian traffic, I’d like to share a few safety tips with you. We have several pedestrian crosswalks on Gasparilla Island, with the most well-marked being at 10th Street where the Fust Library is located and along Gilchrist Avenue. Let’s first look at the Florida State Statute governing the vehicle operator. F.S.S. 316.130 (7)(b): The driver of a vehicle at any crosswalk where signage so indicates shall stop and remain stopped to allow a pedestrian to cross a roadway when the pedestrian is in the crosswalk or steps into the crosswalk and is upon the half of the roadway upon which the vehicle is traveling or when the pedestrian is approaching so closely from the opposite half of the roadway as to be in danger. As a driver, please be aware of the presence of pedestrians and remain cautious when approaching these crosswalks. Don’t forget to yield and pack your patience. Also included are safety tips for pedestrians using crosswalks. Take a look at this section from the Florida DOT manual on Traffic Control Devices. Florida traffic laws lay out the rules of the road that enable pedestrians and drivers to share the road. Pedestrians – just like drivers – must obey traffic laws. Stop at the curb or edge of the street. If vehicles parked on the street block your view of traffic, move forward to the edge of the line of parked vehicles, where you can observe traffic in both directions. Be visible to drivers and recognize when to yield to motorists. Look left, right, then left again for approaching traffic. At an intersection corner, also check over your shoulder for turning vehicles. Determine whether there is a gap in traffic that is safe for both pedestrian and driver. Never assume that drivers see you or will stop for you. When there is a safe gap in traffic, walk directly across the street at a consistent pace. Avoid distracted walking by continuously looking out for motorists or other hazards. Drivers may not be attentive to driving or may not be accustomed to pedestrians sharing the road. Always watch for any quick turning movements or drivers disregarding Florida traffic laws. If you have any questions, don’t hesitate to reach out to your LCSO team. We pride ourselves in protecting and serving this amazing community and look forward to a safe and healthy season ahead.